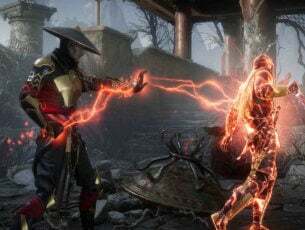 The Anniversary Update is here for exactly two weeks, and despite the fact the majority of problems was reported earlier, complaints about issues caused by the second major update for Windows 10 keep coming in. In today’s article, we’re going to talk about problems with web browsers after the Anniversary Update, which a few users reported lately. According to them, they’re unable to connect to internet using any browser in Windows 10 version 1607. 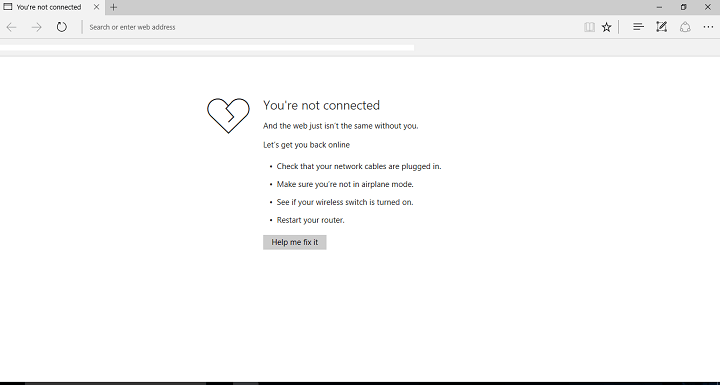 “After installing Windows 10 Anniversary, I experienced problems with internet browsers: Edge, IE 11,and yes Chrome. 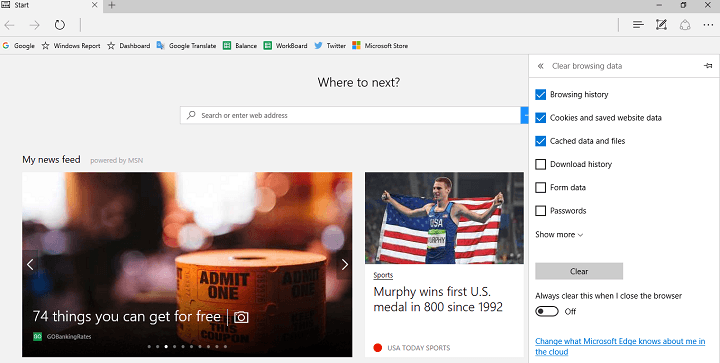 Initially, the issues started with Edge. I noticed a number of web pages needed to be recovered. Also, notifications would cause the entire desktop to freeze. Web sites that I experienced issues with were: MSN, Amazon, and Yahoo,” said one user of Microsoft’s forums. The first solution for any browsing problem that anyone is going to recommend you is to clear browsing data. This solution doesn’t solve the problem in most cases, but can be sometimes useful, and it won’t hurt if you try it. Although the precise method of clearing browsing data varies from browser to browser, it’s basically same or very similar. So, if you know how to do it on one browser, you’ll know how to do it on another. This process is pretty much same for other browser, so whichever browser you’re using, you now know how to delete browsing data. If clearing browsing data didn’t get the job done, try with some of the solutions listed below. Users who encountered browser problems after installing the Anniversary Update actually confirmed disabling Adobe Flash Player as a solution for their problem. So, if you noticed that your browser doesn’t connect to internet right after installing the Anniversary Update, there’s a big chance it was caused by Adobe’s software. Adobe Flash Player is integrated with most browsers, so all you need to do is open settings of your browser, and disabled Flash Player. Once again, we’re going to show you how to do that on Edge, but if you need more instructions on how to disable Adobe Flash Player in other browsers, just let us know in the comments. 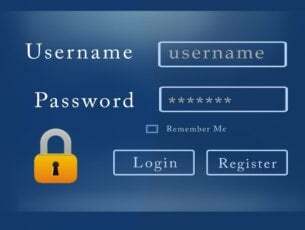 According to most users who encountered problems with browsers in the Anniversary Update fixes the problem. However, even if this workaround didn’t get the job done, we prepared a few more solutions for you, so check them out below. Some antivirus programs’ firewall can sometimes cause problems with web browsers. So, if you’re using a third-party antivirus software, try disabling its firewall, and try to connect to internet again. 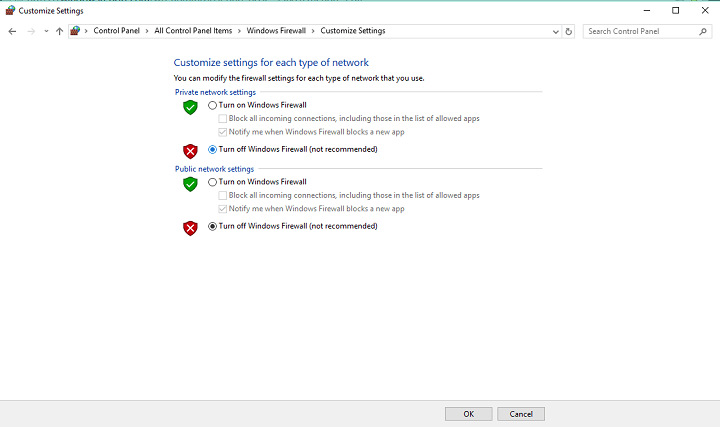 Since we’re talking about disabling firewalls, you can try the same thing with Windows 10’s built-in firewall. Disabling Firewall in some cases solves the problem, but once again, it might not work for everyone. So, if disabling antivirus program’s or Windows 10’s Firewall wasn’t helpful, try some of the solutions listed below. Similarly to the previous case, there’s a chance that your antivirus program actually prevents your browser form working, especially if running along with Windows Defender. Incompatible antiviruses already caused a bunch for problem in the post-Anniversary Update Windows 10, so they easily might cause browsing problems, as well. So, try disabling or uninstalling your antivirus, and see if the problem is resolved. If not, move on to another solution. Maybe your browser is not even a problem, maybe you’re simply not able to connect to internet. 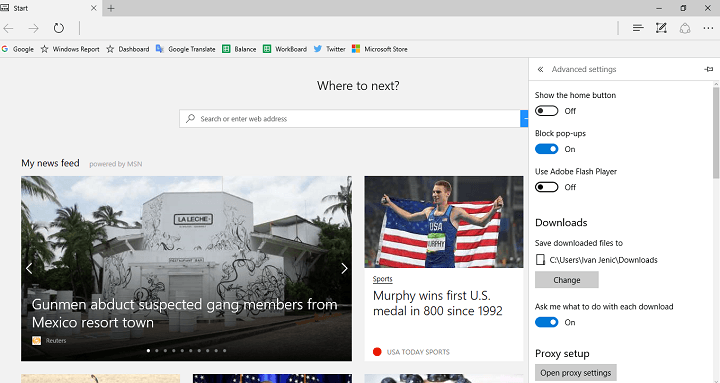 You can easily determine that, just try connecting to internet with something other than your browser, like Skype or some Windows 10’s UWP app. If you’re unable to connect, you definitely have more problems than just browsing issues. In case you’re not able to connect to internet after the Anniversary Update at all, check out this article, and you might find a solution. 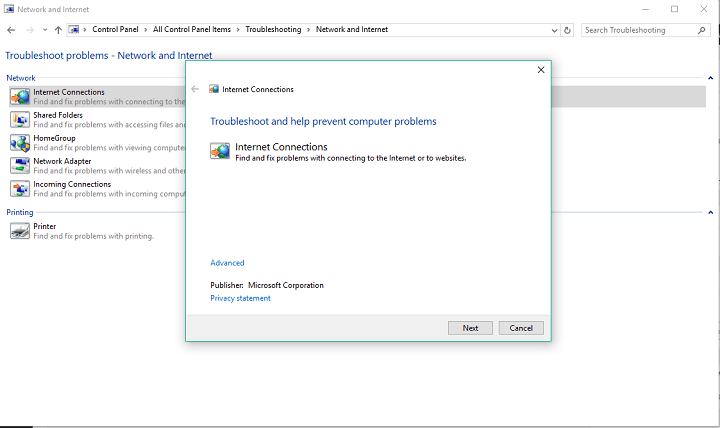 And finally, if none of the solutions listed above managed to solve your problem browsing internet in Windows 10 version 1607, you might try running the network troubleshooter, This tool is Windows 10’s own, built-in diagnostics kit, which solves various system-related problems. The wizard will automatically run, and it will scan you computer for potential networking problems. That’s about it, after performing some of these solutions, you should be able to browse internet normally, once again. However, if you have any comments, questions or suggestions, please let us know in the comments below.